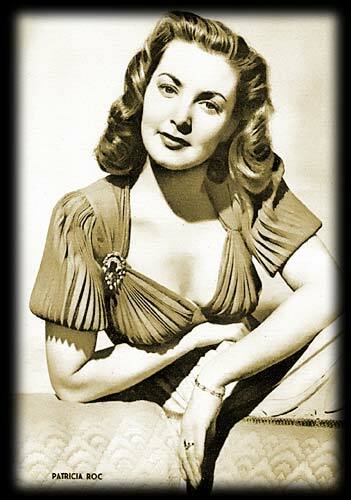 Patricia Roc - Appearance on "Much Binding in the Marsh"
You would think that the chances of unearthing an episode of a light entertainment show from 1947 that was broadcast on BBC Radio would be next to zero. Yet through an amazing stroke of luck a copy of this has appeared - much scratched and not exactly HiFi - but listenable just about! The fact Pat appeared on this show was unknown to me until I was contacted by email by a Australian who collects these obscurities asking me if I'd like a copy of this. It almost seemed too good to be true but sure enough a copy of the recording arrived several days later. "Much Binding In The Marsh" starred Kenneth Horne and Richard Murdoch with Sam Costa and Maurice Denham. This episode was the 2nd programme of the 2nd post-war series, first broadcast on 3rd December 1947. Patricia Roc just appears (as herself) in the final 10 minutes of the half-hour show which comprises of the clip we have here. The recording was taken from an old scratchy 16 inch BBC Transcription Services record. This show is believed not to be in the BBC sound archives and it's doubtful they have any copy of it. We are all indebted to Mark in Australia for providing this and I'm sure as well as having my thanks for this he will have the thanks of many others who will come here and find this little delightful peice of nostalgia. Perhaps some will even remember it from hearing it the first time round which I am sure will reawaken some memories! We provide the audio in two versions - MP3 (the popular MPEG 1 layer 3 format commonly used on the Internet) and Microsoft's Windows Media WMA format. These should play on any Windows machine post Windows 95. MAC or Linux/Unix users should use the MP3 version.